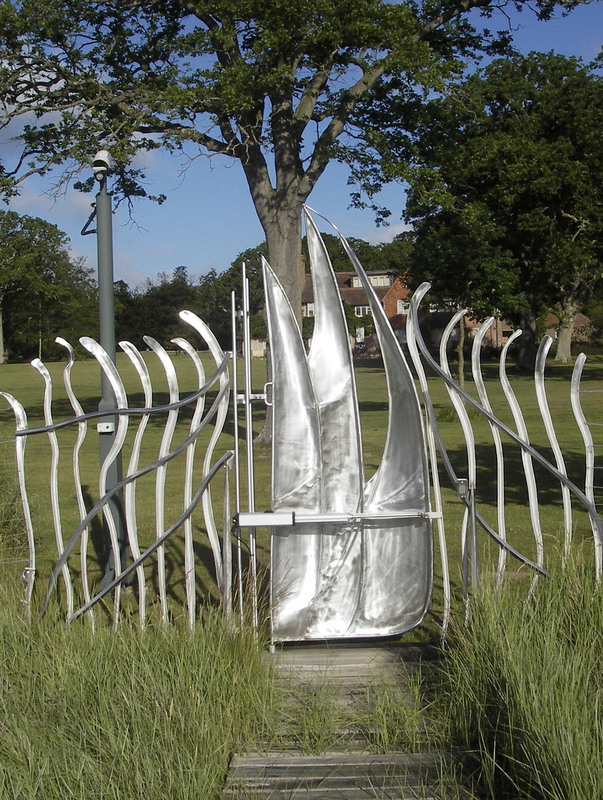 A closure designed for a private hammerhead pontoon on the Beaulieu River. 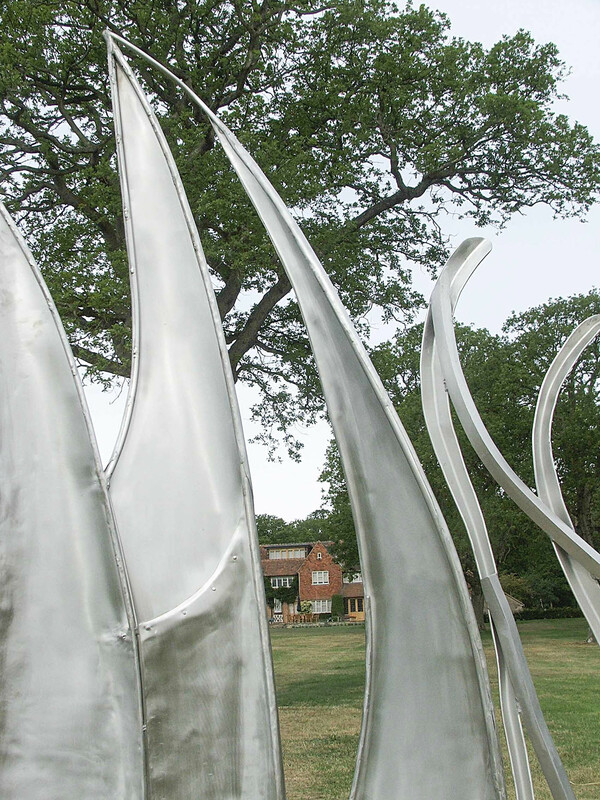 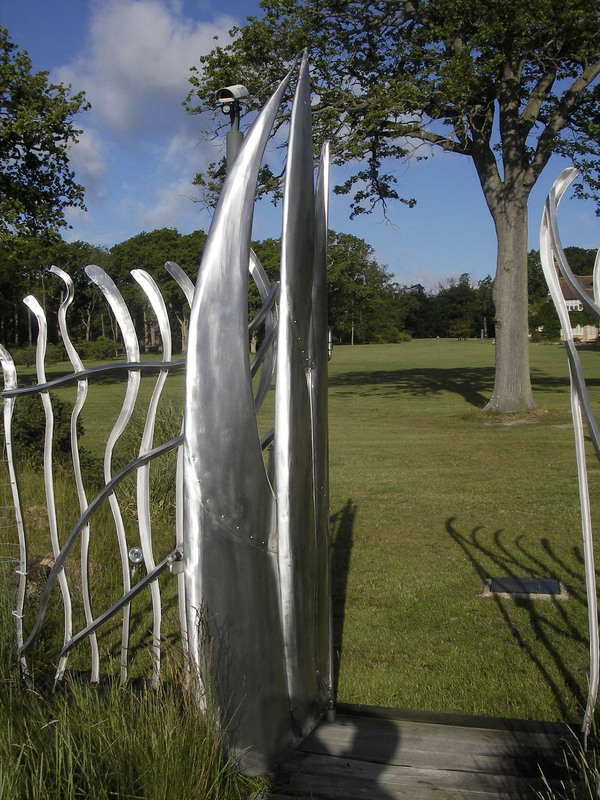 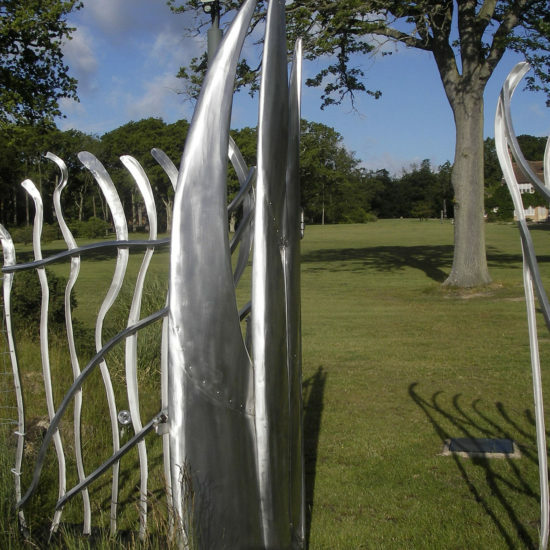 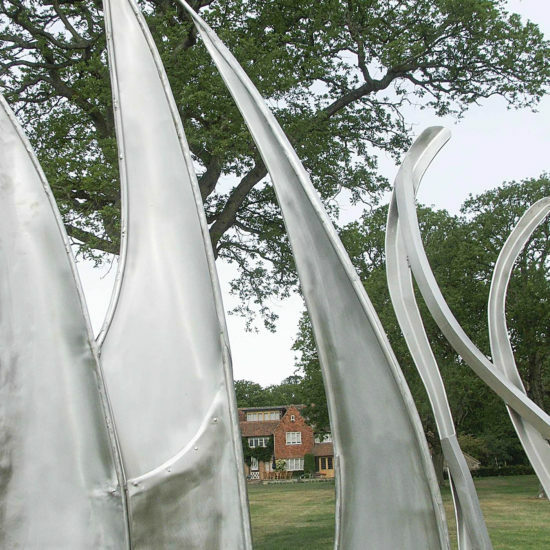 A polished, highly reflective stainless steel, single leaf sculptural gate. 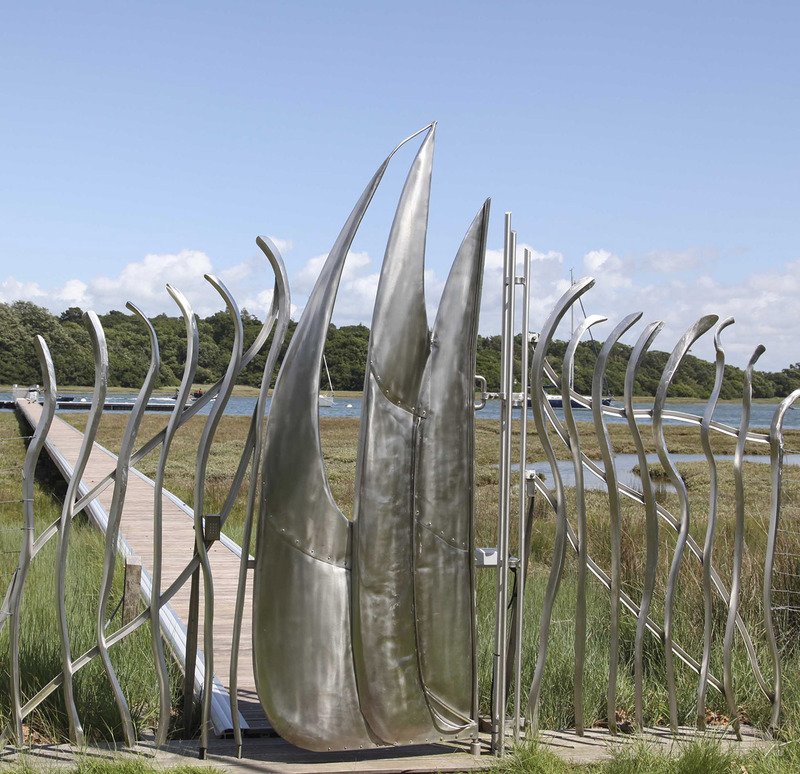 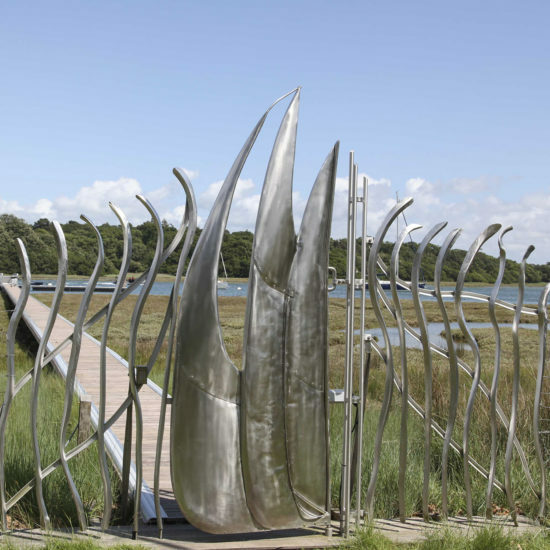 The design is based upon a study of reeds, sea grasses and sailing boats in the vicinity. 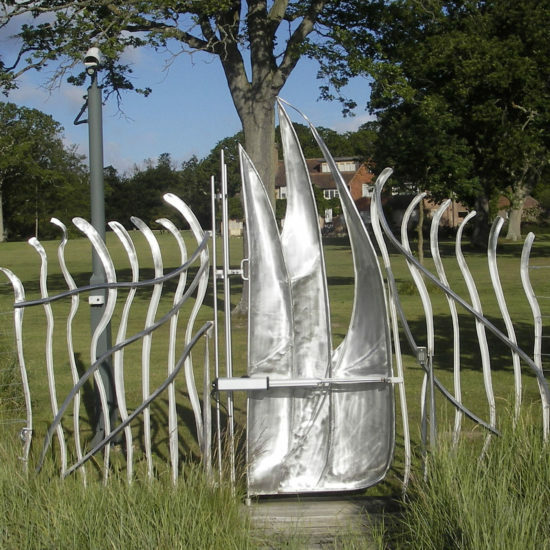 Three metres in height the gate has a motorised opening mechanism to assist in high winds.